Bishop John Kallos dedicated his life to the Greek Orthodox Church. During his nearly 60 years of service to the church, including more than 40 as a bishop, Kallos assisted in the church’s growth in Atlanta and beyond. John Christodoulos Kallos, of Tucker, died Saturday after a brief decline in health. He was 84. Services have been scheduled Friday at the Greek Orthodox Cathedral of the Annunciation as follows, 8 a.m. Orthros, 9 a.m. Hierarchical Divine Liturgy, followed by an 11 a.m. funeral. Burial will follow at Greenwood Cemetery. A.S. Turner & Sons Funeral Home and Crematory is in charge of arrangements. Kallos was well respected among the Greek Orthodox and other denominations, Tsahakis said. His love to, and commitment for, the church endeared the bishop to many. “We certainly will miss him as a witness of the eternal Orthodox faith,” he said. A native of Chicago, Kallos’ parents were from Alatsata in Asia Minor. An only child, he was reared in the Greater Boston area, where he studied religion and theology extensively. He earned his undergraduate degree from Boston College and studied at Holy Cross Greek Orthodox Theological School in Massachusetts; the Divinity School, University of Athens in Greece; the Ecumenical Institute in Geneva, Switzerland; Huntingdon College in Alabama; Harvard Divinity School in Boston; and Episcopal Theological School in Cambridge, Mass. He was ordained a deacon in 1955, and a little more than a year later, Kallos was ordained a priest. During his time as a priest, Kallos served several parishes and in academic and administrative positions at Holy Cross Seminary. 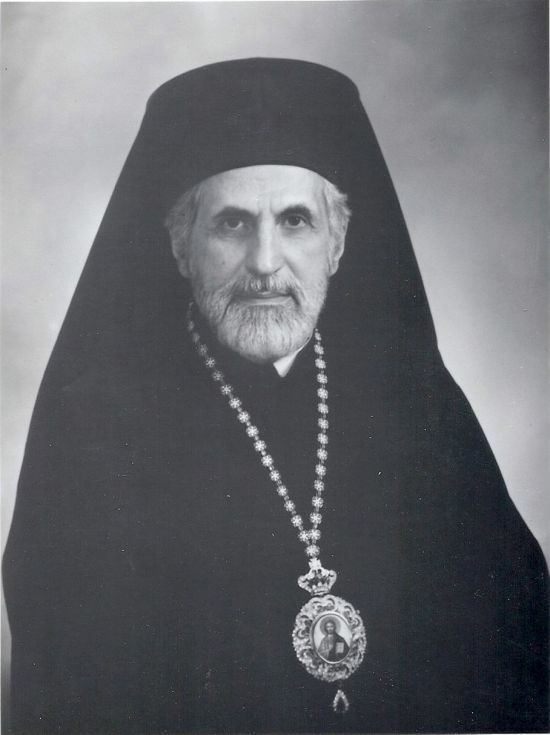 In 1971, Kallos was selected and ordained as the first American-born bishop of the Greek Orthodox Church. Kallos, who had served as an auxiliary bishop in Houston and Denver and as a diocesan bishop in Charlotte and Atlanta, retired in 1989, but he remained active in the church. Kallos is survived by several cousins.